Ideal for dressings, stir fry and roasting. Great Somerset alternative to Olive Oil. More information on Fussels Rapeseed Oil ... So the seeds are planted in August, the resilient green shoots appear soon after the fantastically beautiful yellow flowers have bloomed during May, the seeds then mature before we harvest in July. Fussels store the little round seed pearls before releasing their golden treasure by cold pressing it and bottling it. Rapeseed is a healthy oil option with half the saturated fats of olive oil, about 10 x and 3 x the levels of the important fatty acids Omega 3 and 6 compared to Olive oil. 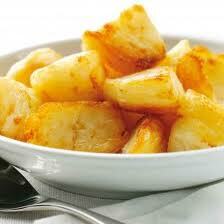 Fussels makes great Roast Potatoes! Its a very versatile oil in the kitchen, for it will hold its integrity at higher temperatures than olive oil, so you can successfully use it for everything from dressings to deep frying and all stops along the route....dressings, mayonnaise, baking, light frying, roasting, batter puddings, stir frying...the list goes on.